Apple Music and lyric database Genius today announced a partnership, allowing Apple Music subscribers to visit Genius and play any song in full on the song’s lyric page. This will work both on the Genius website and in its iOS app. 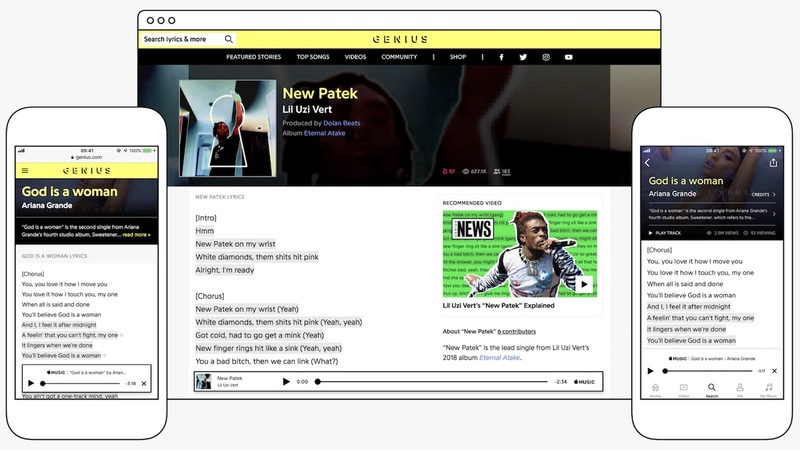 The partnership will also beef up Apple Music’s own lyric database with Genius’s information, providing the music streaming service with lyrics to “thousands” of songs. Apple first introduced lyrics in Apple Music with the launch of iOS 10 in 2016, and now the feature will be enhanced with Genius. To use the Apple Music player on Genius, search for any song, and then tap “connect account” when the player pops up. This process will require you to allow Genius to access your Apple Music, media library, and listening activity, and once you accept you’ll be able to listen to full tracks within Genius on the web (desktop and iOS mobile web) and in the iOS app. In Apple Music, you can check on a song’s lyrics by tapping the ellipsis icon at the bottom right of the player screen on iOS, then tapping “Lyrics.” Not every song supports lyrics, and it’s unclear how soon the Genius encyclopedia of lyrics will be added to Apple Music.